Whether your idea of fun includes family activities, rekindling romance or just kicking back for some R&R, a Carnival cruise can serve up the fun vacation you’re looking for. 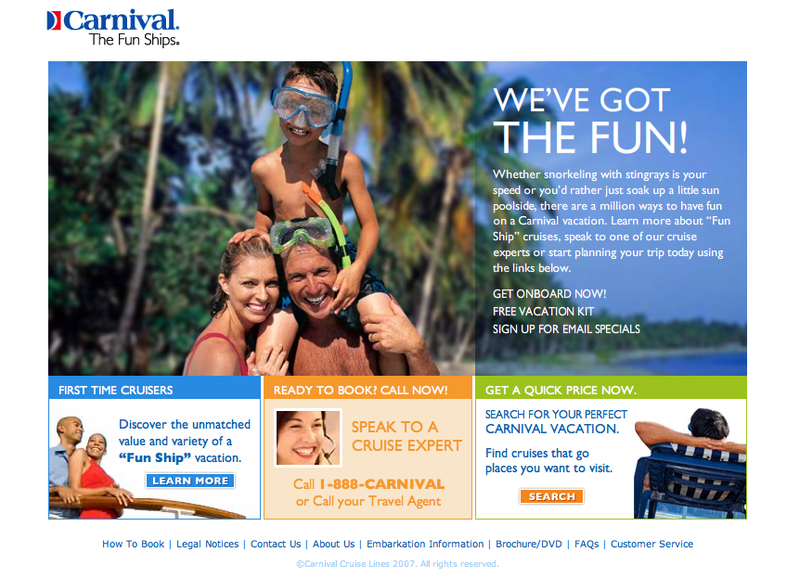 I helped promote the cruise line online through a variety of banner campaigns, as well as video and interactive experiences on its Funship Island site. family. bacon. booze. rainbows. and all the other stuff that really matters.